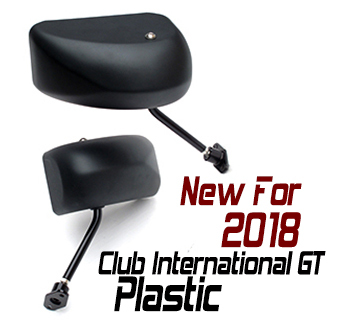 Club International GT in carbon fiber satisfies FIA specifications for GT3 and Sports Cars. 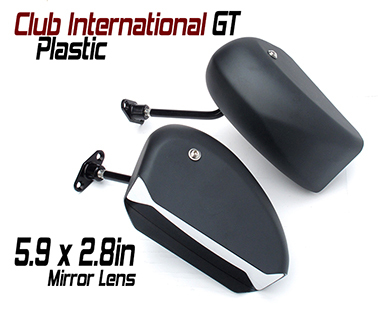 It is also a popular choice for production sedan racers who like the larger mirror size and the fact the CIS GT weights only 6.6oz. 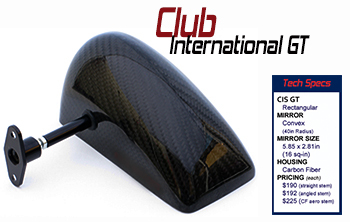 CIS GT features a convex (40-inch radius) mirror offering excellent visibility through 104 sq-cm of total viewing area. 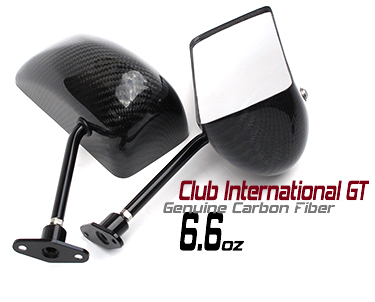 Stem choice varies from the standard 6.5in angled alloy stem to straight stems from 4.5in, 6.5in and 8.0in. 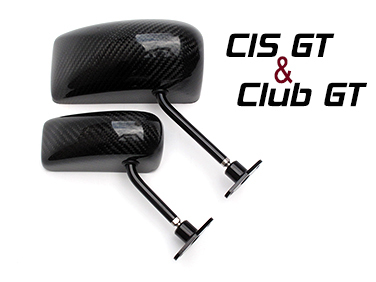 For the very serious racers, we also offer a trick carbon fiber aero stem for the CIS GT. You can also choose your Mounts. 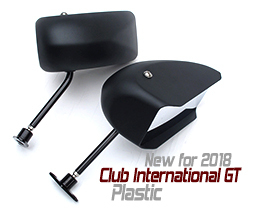 The standard Club Mount is drilled on a 1.5in center so too the optional Aero Mount. No cost if you want to swap - just let us know when you order. 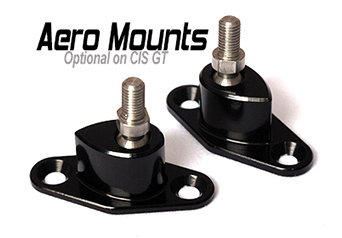 Extended Mount is drilled on 2.5in center and often better suits the large CIS GT design.